I wanted to move my new 120cm hTBH a meter or 2 away from where the original nucleus hive had been sitting. Moving a full hive usually requires an assistant and I have nobody near me that is keen about bees. I also only have 1 suit. I had a think about how to move it on my own and this is what I came up with. 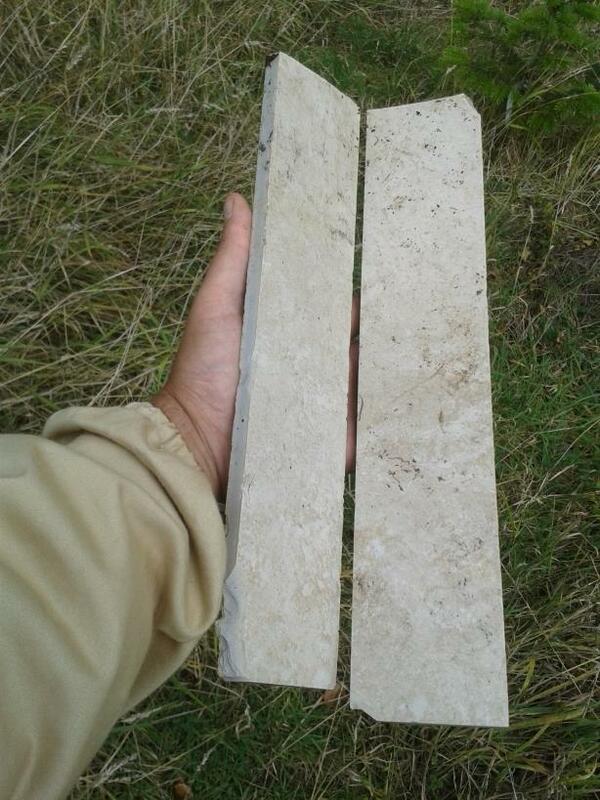 These a a couple of off cuts from sturdy floor tiles. I'm really useless at throwing away "rubbish" so I found these in a small rubble pile in my garden. I'm not sure where someone could source something like this, but you could always get 1 big sample tile at a tile shop and cut it in half. 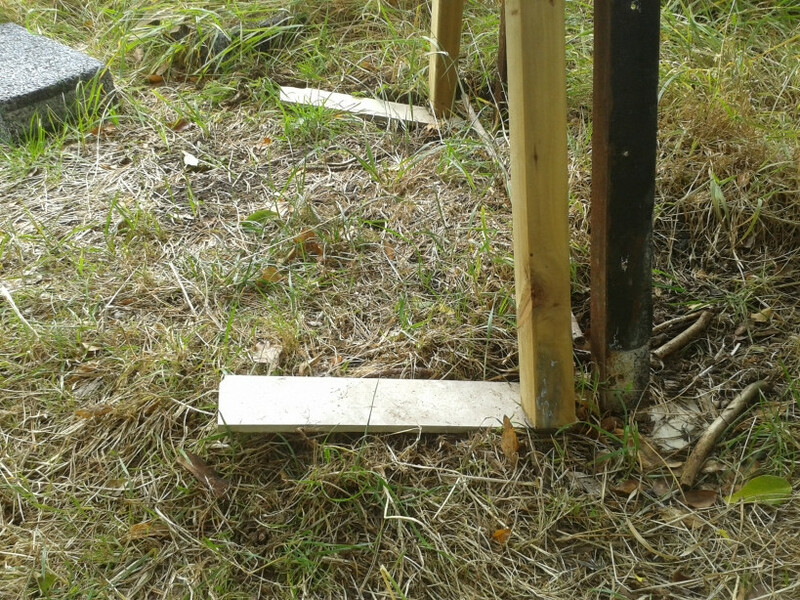 I knelt down beside the hive and lifted 1 leg enough to slide a piece of tile under it. Repeat the process at the other side of the hive to provide a low friction surface under 2 legs. Go to the other end of the hive and lift it 2-3 cms from the ground and slowly pull it towards you. You can watch 1 of the 2 grounded legs sliding along the tiles and that can help you to guide it. Finally, remove the tiles and check that the hive is level in it's new position. Total time for the move was under 3 minutes, including the time to take the photos. I intend to move the hive about 20 cms a week over the next few weeks. At some point I will have to rotate it 180 degrees and I hope I can come up with a clever way of doing that without an assistant too. I'd like to add that this hive I was moving is my newest build and it has an observation window along 1 side. I didn't document the build well enough to warrant a post about it here, but I love having a window in it. I think I'll be opening this hive just 1 time between now and April. I'm afraid that my solution to the same problem was much more boring: I fastened a couple of metal handles to each end of the box, which by-the-way has no legs at all and merely sits on cinder-blocks, with a couple of pieces of wood as shims. I take two planks and insert under the legs at one end. Lift the other end and pull the legs along on top of the planks. When the end of the planks is reached, reset planks. 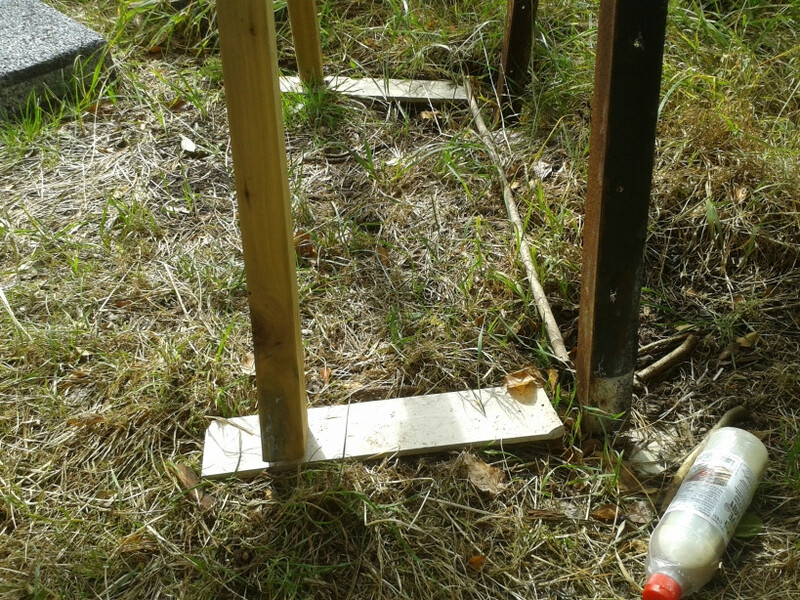 When turning to reorientate hive, I used a sheet of wood rather than the two planks.